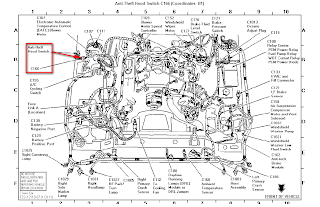 The location of switch under hood. Anti theft hood switch. And anti theft trunk lid switch. There are 2 alarm switches that usually cause your concern. 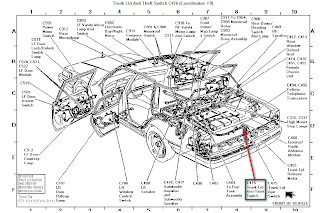 There is one mounted to the fender under the hood (has a rubber boot) and one built in to the trunk latch (separate connector from the power latch connector) You can replace the switches, or just leave them unplugged. This should take care of the alarm going off on its own.